"At this point without the mother, we'll just have to take them so they can be fostered out." Said Chula Vista Animal Control Officer Jaime Valles. "It sounds like some patrons were leaving a church parked right next to the drain," said Chula Vista Fire Department Battalion Chief Rich Brocchini. "They heard the ducklings down there and then they called the security guard and the security guard called us." 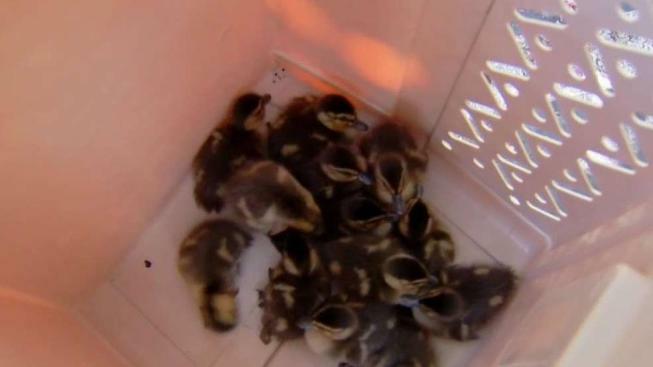 The ducklings were receiving treatment at the animal shelter and in a few days will go to Project Wildlife, a rescue that takes in orphaned animals. When they're old enough, the ducklings will be released into the wild.